From a small feature wall in one room of your home to full design, consultation and hanging for an entire floor we have something for you here at Home Affairs Interiors. Wallpaper can add an eye catching feature to your home and transform any room. 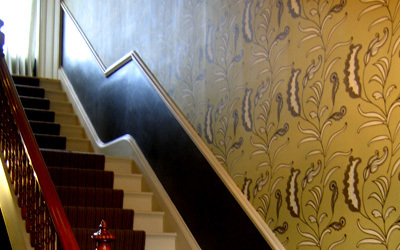 We will help and advise you on the perfect wallpaper to compliment any room in your home. As well as sourcing and supplying contemporary and traditional wallpaper from some of the best wallpaper designers around, we supply and fit wall coverings, panelling, murals and all manner of accessories to compliment your walls.